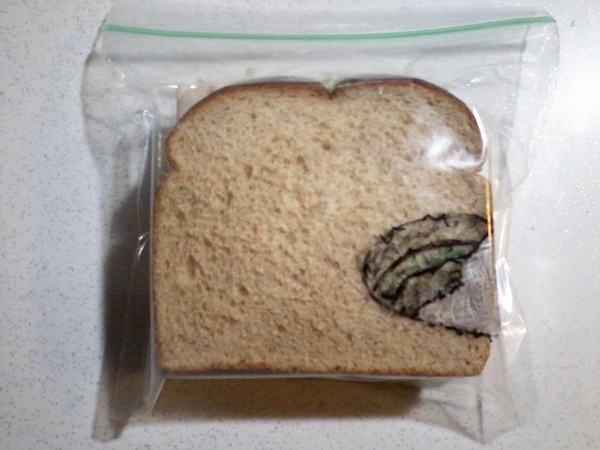 It’s almost time to start packing lunches again. I must admit, it’s a task I dread. 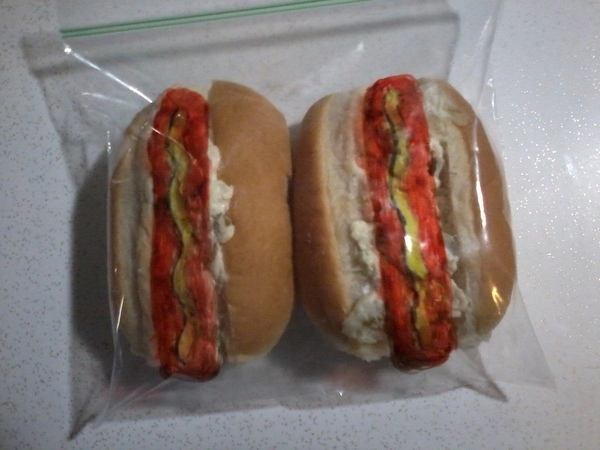 I start the year with good intentions and finish with just a Vegemite sanga, an apple and a Scotch Finger. 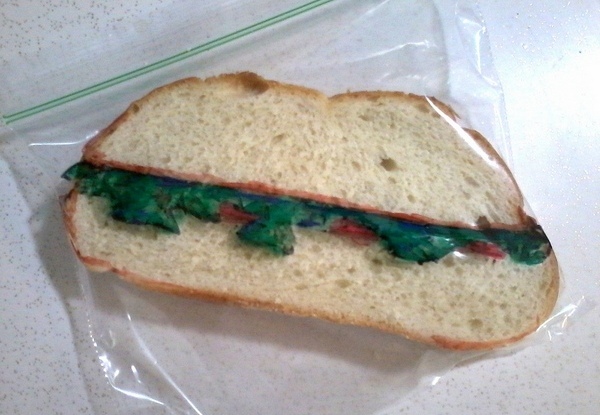 Perhaps I should worry less about what’s in the sandwich and more about what’s on the outside?! 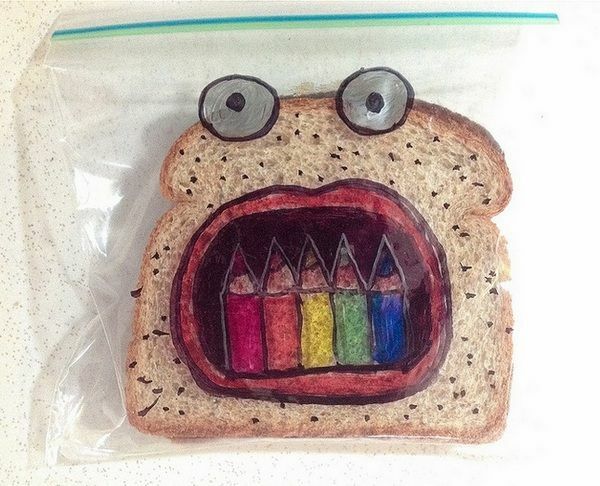 Last year we showed you what fun David Laferriere has been having with his sons’ school lunches. 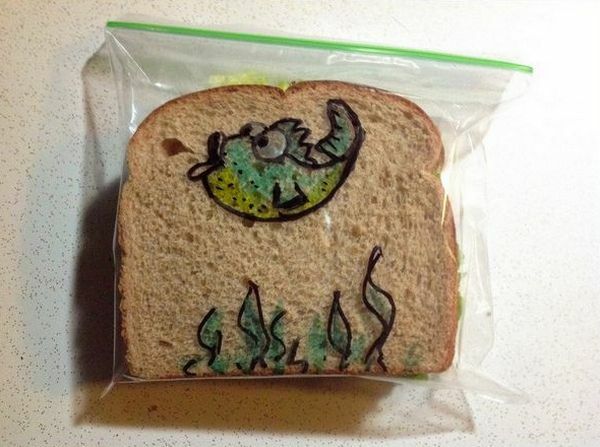 Now that it’s almost time for Australian kids to go back to school, we thought we’d check in with David to find some more school lunch inspiration for you. We’re happy to report that David’s boys still think his drawings are the best thing since sliced bread (sorry – couldn’t resist that joke). 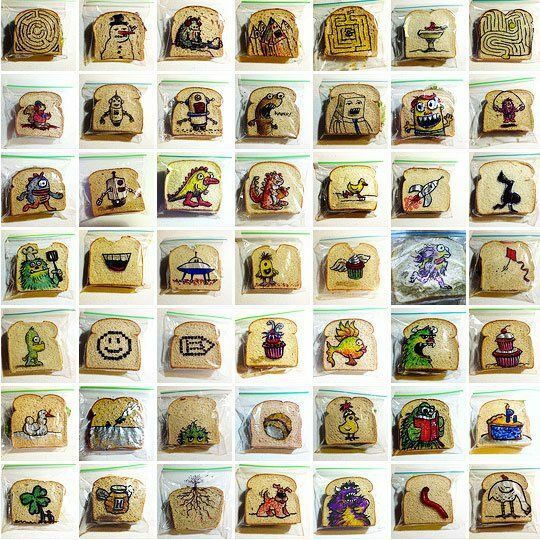 In five years, he has created and documented more than a thousand sandwich bag masterpieces and his work has been featured on Sharpie’s website. 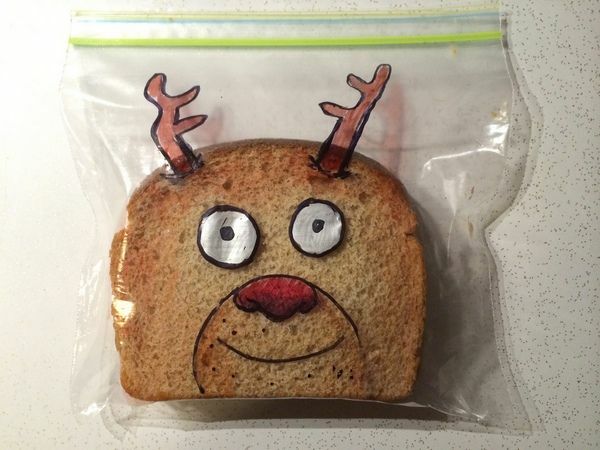 Clearly never short on inspiration, David’s drawings are seasonal (including Christmas, Halloween and Easter designs), employ a few visual tricks (has someone already taken a bite out of this sandwich?!) 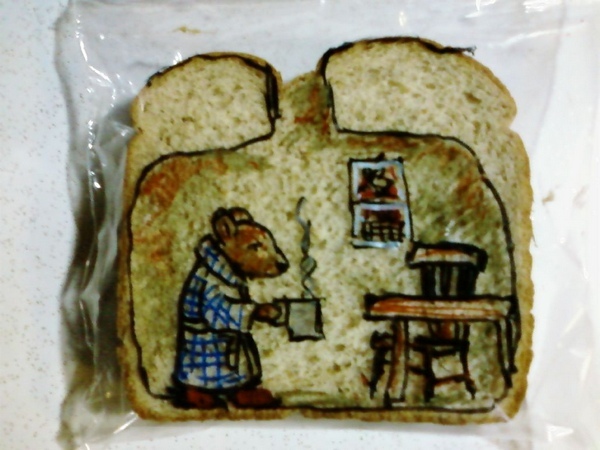 or are simply little masterpieces. 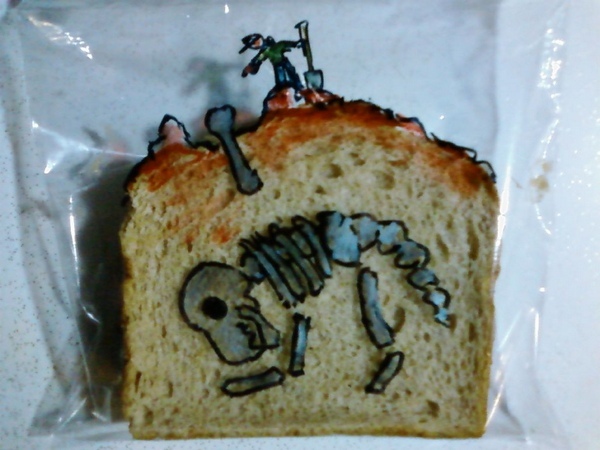 I particularly like the drawings that use the individual ‘features’ of the bread – air bubbles and crusts become open mouths and the Earth’s surface for example. David says that despite the fame he’s gained from the project, the drawings he makes will always be primarily an act of love for his sons, and that it’s something that they share together.